Circulatory, posture, health in general is affected by all the time that they stay, sitting, in the office. Keeping the standing position for at least 10/15 minutes every hour is a gesture that improves circulatory, promotes weight loss and mental form. Why, then, provide a desk with limited regulation The electric lifting-up desk is composed of a steel lifting column with motor drive. The internal, intermediate and external profile can be plasticized or chromed. The guide column presents an elegant square appearance, easily adapting to any type of room design. 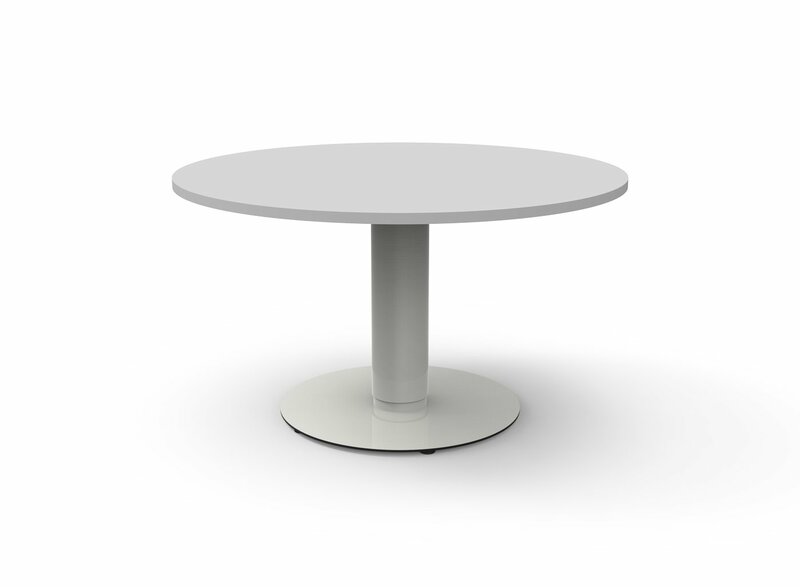 The flexible height of the column makes it possible to satisfy all current ergonomic needs. when you can get dynamic tables that quickly allow a wide range of work plan? The Panta Rei lifting-up desk uses an electromechanical technology consisting of a control panel that activates a linear motor and allows the lifting of the plane up to 1283 mm. 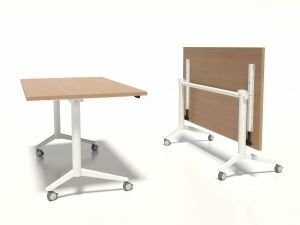 Ergonomics, flexibility and versatility are the fundamental features of workstations that adapt to the user’s needs, encouraging physical activity. 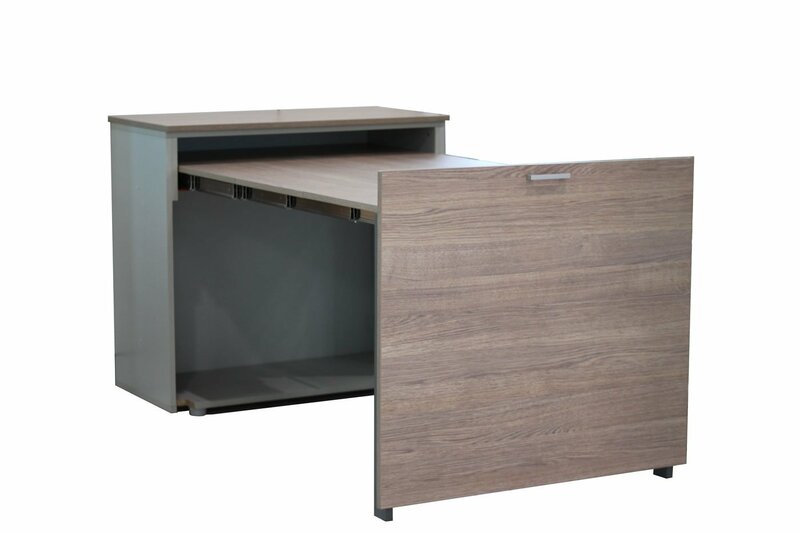 The Electric Lifting Up Desk is composed of a steel lifting column with motor drive. The internal, intermediate and external profile can be plastic coated or chromed. The guide column presents an elegant square appearance, easily adapting to any type of room design. 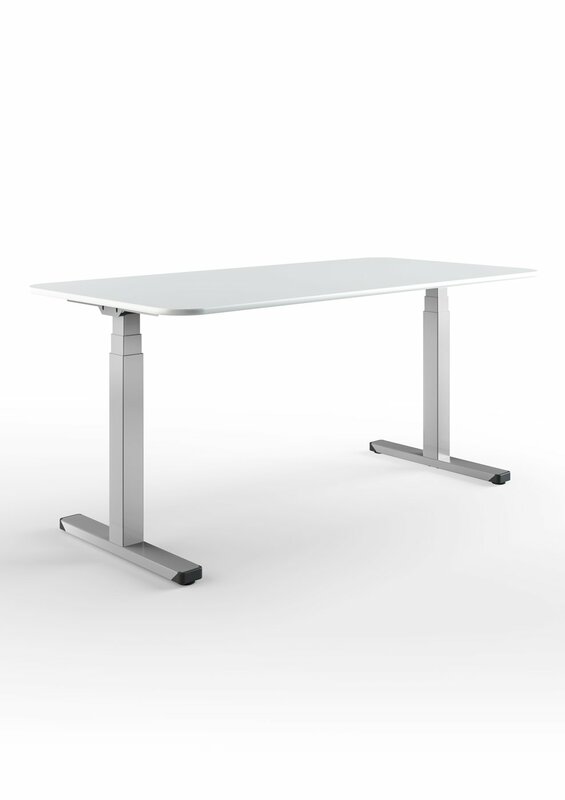 The flexible height of the column makes it possible to satisfy all current ergonomic needs. Available colors: White (RAL 9010), Grey (RAL 9980), Anthracite, Black on demand (RAL 9011). 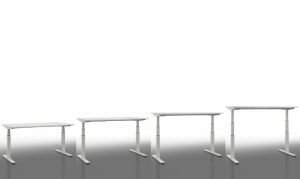 A new intern, the accountant, the lawyer … what to do in case there is a need for an extra office even if temporary? 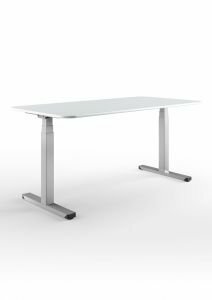 Panta Rei More allows you to add a desk in seconds and effortlessly. Contained in a practical and functional cupboard, it can be pulled down at all times, Panta Rei More gives dynamism within the offices and possibility to have a workstation ready for any eventuality. When the need ends, it can be easily stored inside a neat and comfortable cupboard. 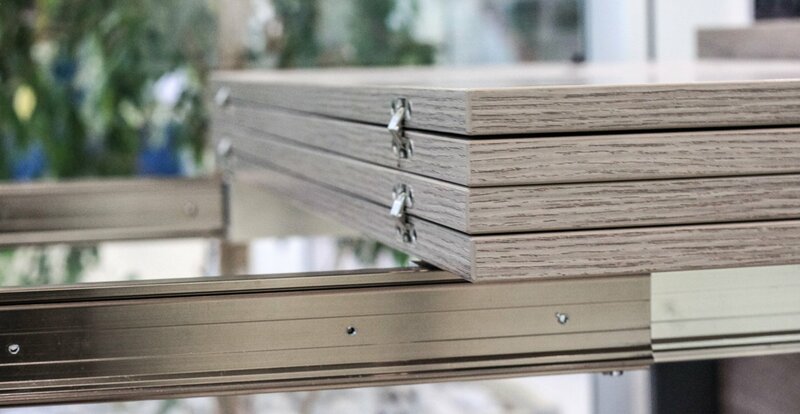 Thanks to the flexibility of Panta Rei More, it will not be necessary to assemble/dismantle, move and store, but it will be enough to pack it in its own storage unit, close the shutters and the game is made: a flexible but at the same time spacious and tidy office. 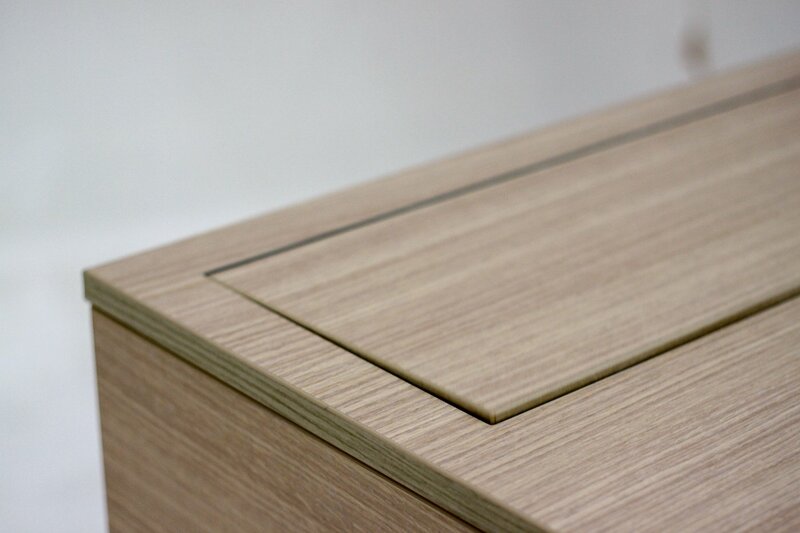 The structure of the wooden cupboards is made of wood particles th. 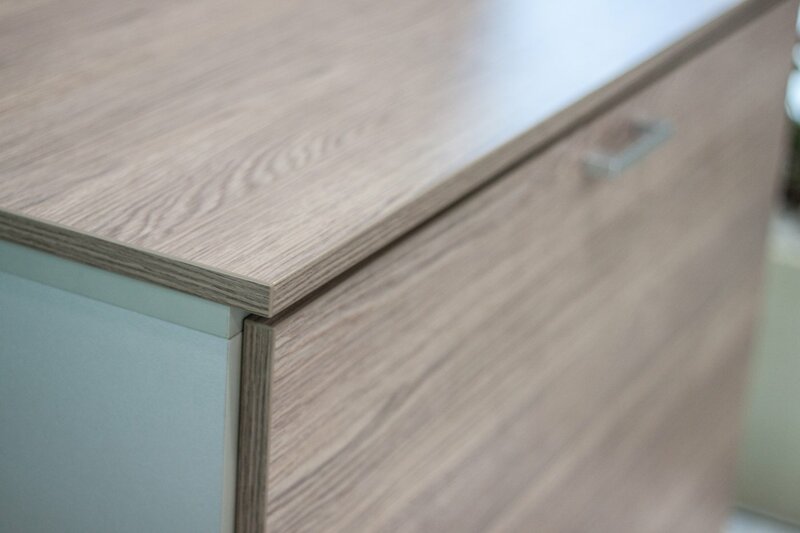 18mm in class E1 (low emission of formaldehyde) coated melamine paper on two sides with scratch resistant and anti-glare features in grey aluminum or anthracite black. 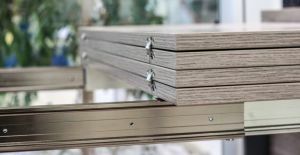 The wooden folding shutters and modules are made of wood particle panels th. 18mm in class E1 (low formaldehyde emission) coated with melamine paper on two sides with scratch resistant and anti-glare features with edges in ABS material th. 2mm with rounded corners. Doors with aluminum frame, natural anodized or anthracite painted with 4 mm glass. Handles in metal, color 96 anodized aluminum. Lock (optional) nickel-plated on all the shutters equipped with a double copy key with ABS key cover. 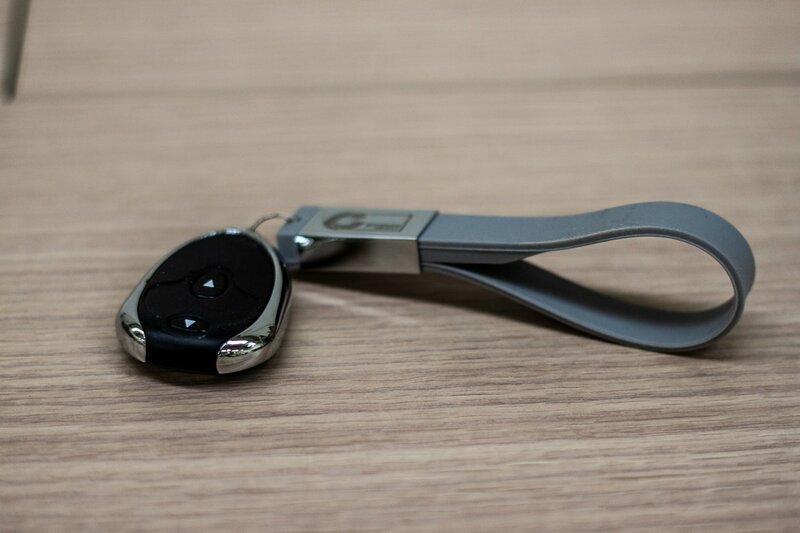 The guides are in aluminum with central opening. It is certainly not a novelty that sitting for many hours does not do well for the body. But it is not just for this that some suggest that the most effective meetings are those that take place on their feet. 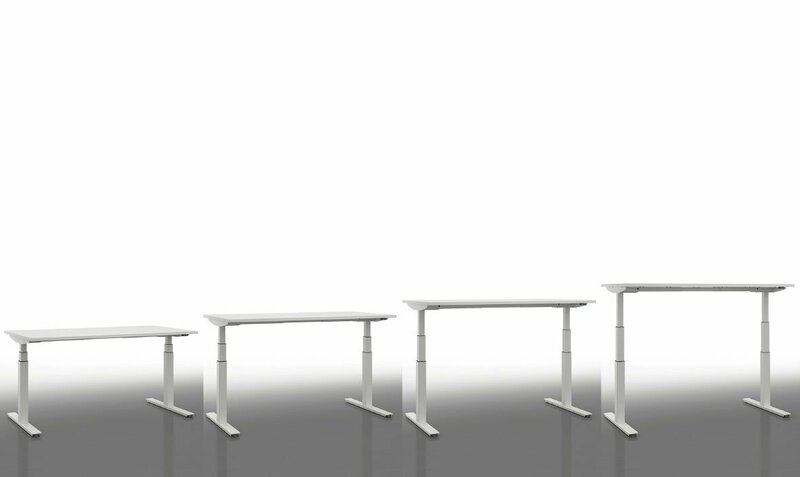 A study conducted by the Washington University shows that the meetings made standing up a third of the time of those done around a table, but bringing the same results. The erect posture actually makes it more active, the lack of comfort helps to go straight to the point and to avoid wasting time. Not only that, standing up would stimulate concentration, because on both feet you would be more alert both mentally and physically. A considerable saving in hours. 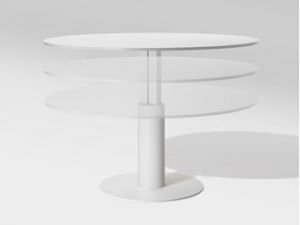 The Table with gas thrust, is composed of a cylindrical column with gas piston for tops of 1200 mm diameter with base and top support. The internal and external profile can be plastic coated or chromed. The guide column presents an elegant round look, ideal for meeting tables and waiting tables. 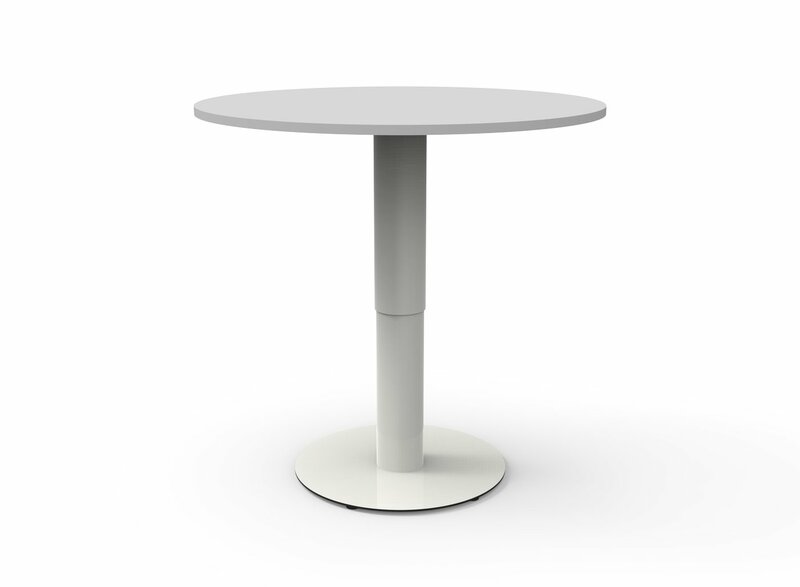 The flexible height of the column makes it possible to satisfy all current ergonomic needs. 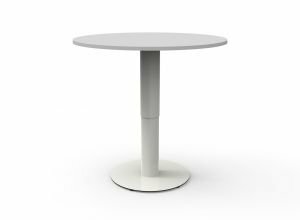 The Folding table is the new generation table, extremely practical and functional, which favors the dynamism inside the meeting rooms, conference rooms or training rooms, thanks to the simplicity with which it can be assembled to furnish multipurpose spaces, according to the needs . 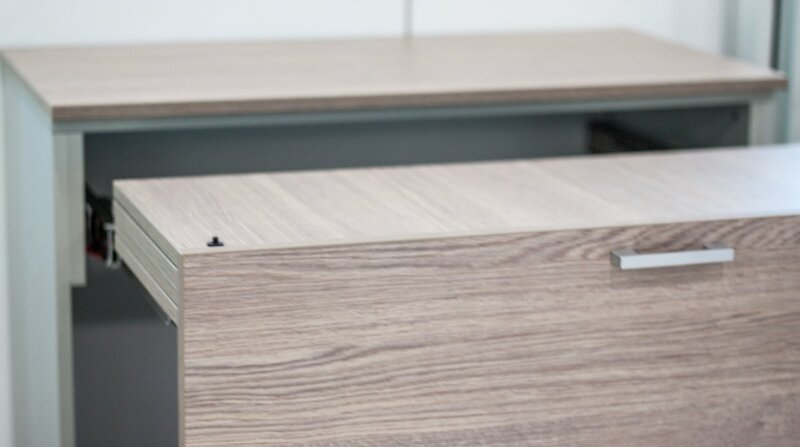 It can be used in all those situations in which the desk, after use, must be removed and placed in a deposit. 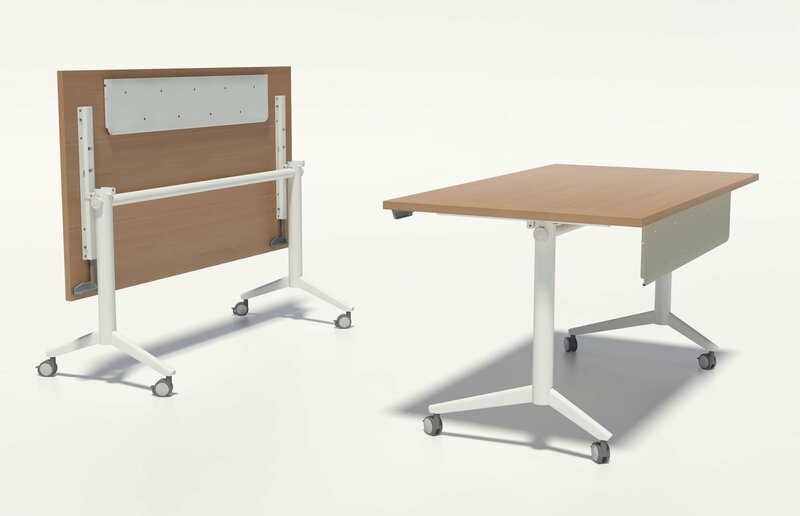 With this series of folding tables, flexibility is fully satisfied: it is possible to create different compositions according to the available space and the comfort of the operators. 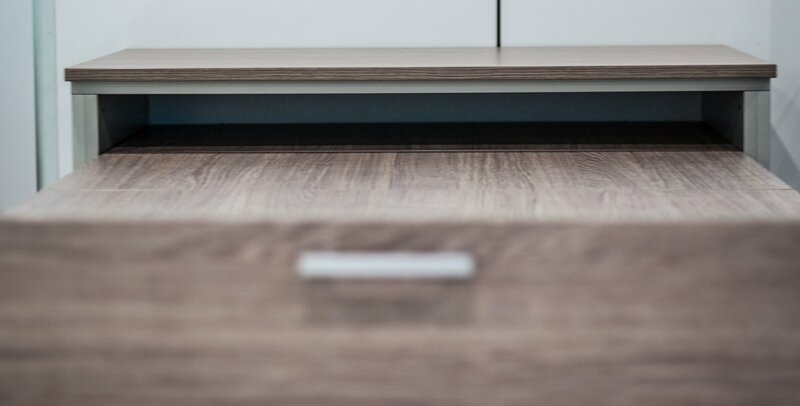 Arcadia offers two different types of feet that will facilitate the transport of the entire structure. A round foot to which particular wheels are combined, available in different colors, called a “skate” and an elliptical one, supplied with a standard 60 mm wheel. Both versions have, including as standard, the wheel brake. The inclination of the top is made with a mechanism positioned on the capital of the leg. 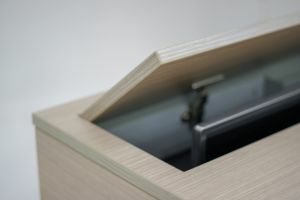 The mechanism is operated by making a slight pull on the two plastic handles positioned under the worktop. If the dimensions of the top do not allow both handles to be operated at the same time, simply block one on the worktop, pulling it out easily from the edge of the top, and turn it. 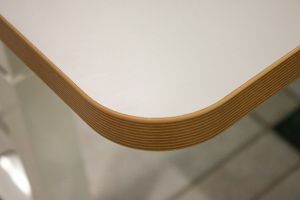 Thanks to a plastic flat connector (optional) it is possible to block and level, in line, different Folding table structures. The Pull-down TV cupboard is an extremely practical and functional cupboard to be placed in meeting rooms, conference rooms or training rooms. 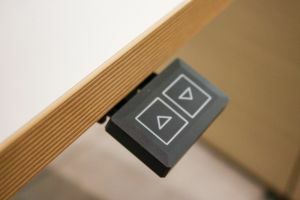 Despite the technology of ultra-flat TV proposes products that are more and more aesthetically well-finished, the TV, when switched off, can hardly ever become a design object. Thanks to the automatic electric lifting mechanism, it is possible to hide the TV, overcoming the constraint of a bulky TV that is always in sight. 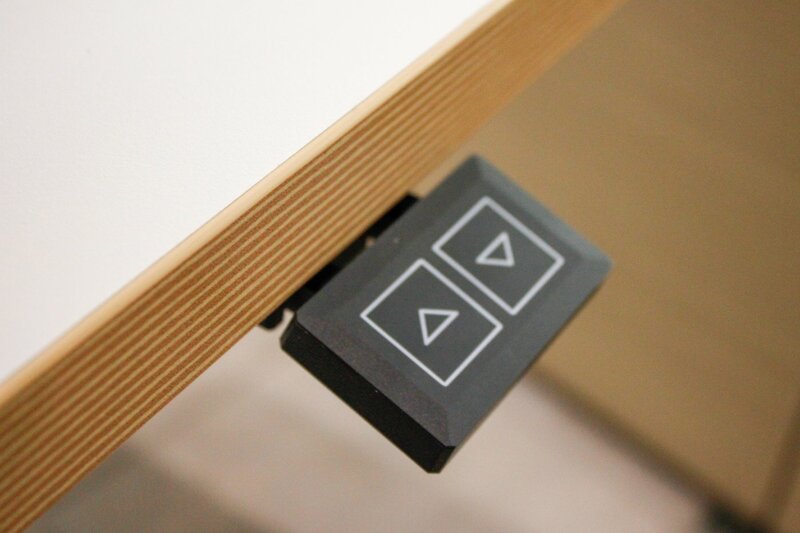 It can be used in all those situations in which the TV, after use, must be stored in the container. The WOW effect is guaranteed.